Check out Tobi's Over You Overlap T-Shirt Dress A t-shirt dress you'll want to live in. The Over You Purple T-Shirt Dress features a classic relaxed shift fit with a raw edge detail and overlap so soft, you won't want to take it off. Did we mention the cute slit? Take this crew neck tee shirt dress with you to all your casual plans. A t-shirt dress you'll want to live in. The Over You Wine T-Shirt Dress features a classic relaxed shift fit with a raw edge detail and overlap so soft, you won't want to take it off. Did we mention the cute slit? Take this crew neck tee shirt dress with you to all your casual plans. A t-shirt dress you'll want to live in. The Over You Purple T-Shirt Dress features a classic relaxed shift fit with a raw edge detail and overlap so soft, you won't want to take it off. Did we mention the cute slit? Take this crew neck tee shirt dress with you to all your casual plans. A t-shirt dress you'll want to live in. 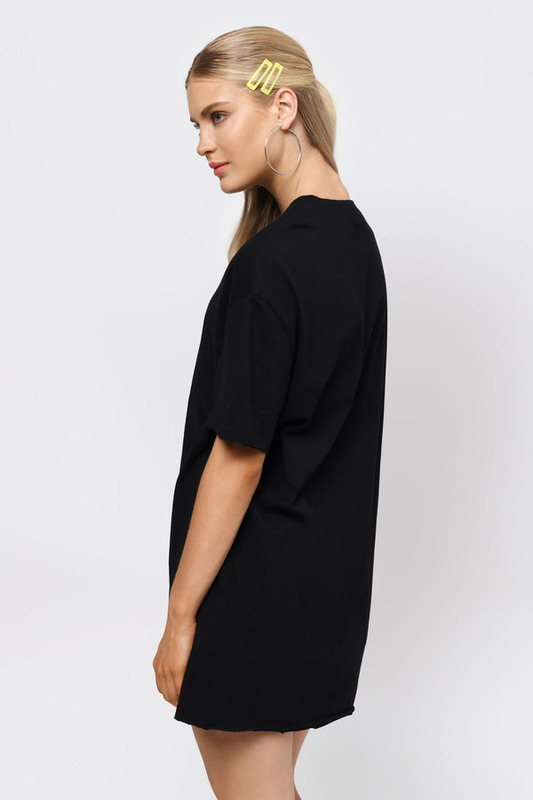 The Over You Black T-Shirt Dress features a classic relaxed shift fit with a raw edge detail and overlap so soft, you won't want to take it off. Did we mention the cute slit? 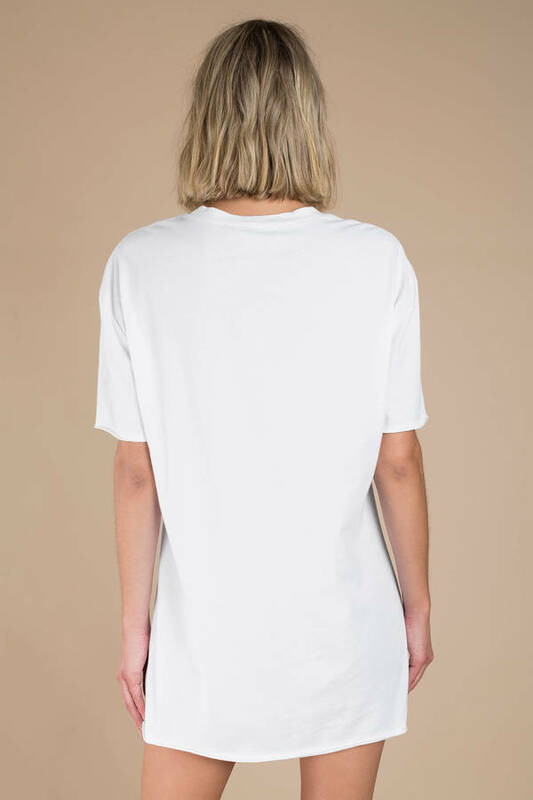 Take this crew neck tee shirt dress with you to all your casual plans. A t-shirt dress you'll want to live in. 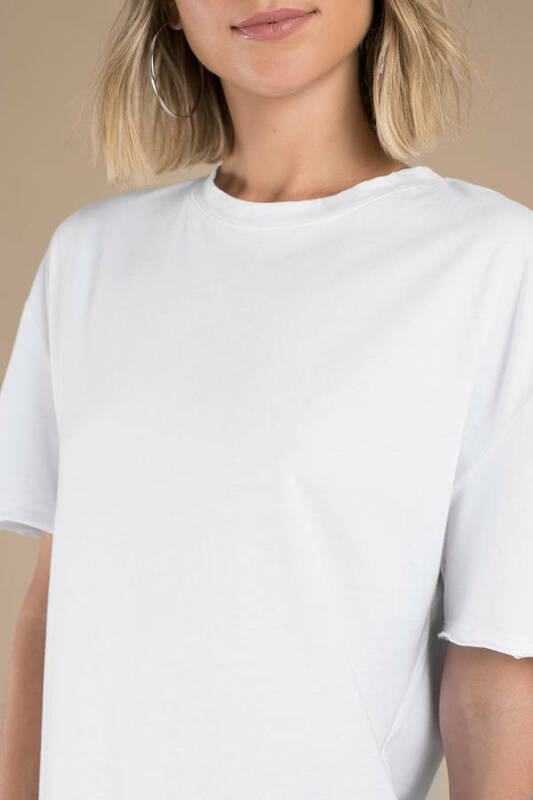 The Over You White T-Shirt Dress features a classic relaxed shift fit with a raw edge detail and overlap so soft, you won't want to take it off. Did we mention the cute slit? 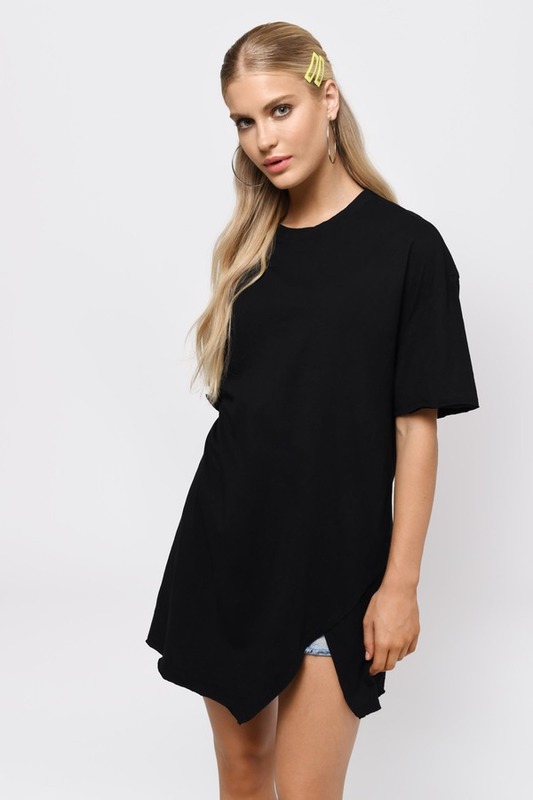 Take this crew neck tee shirt dress with you to all your casual plans.